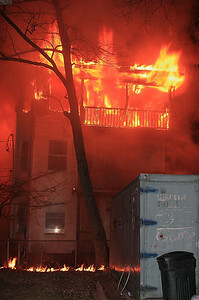 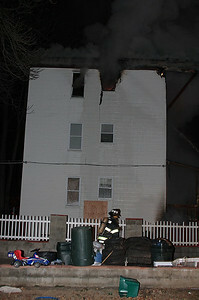 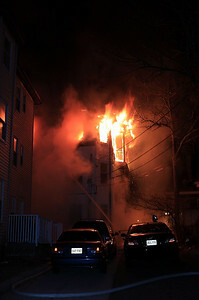 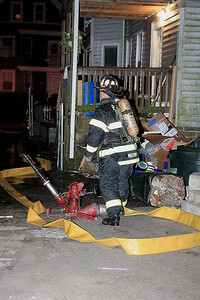 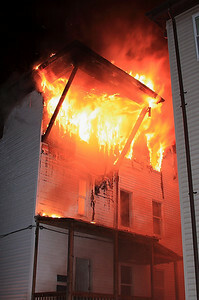 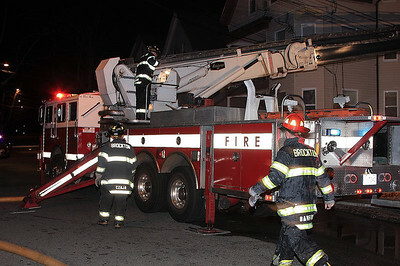 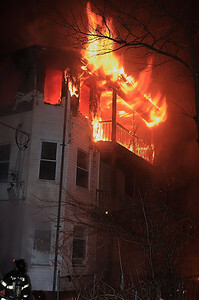 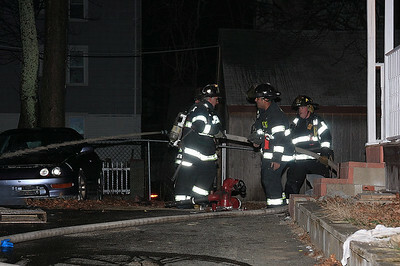 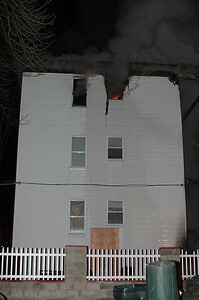 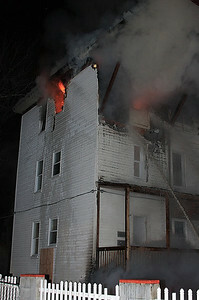 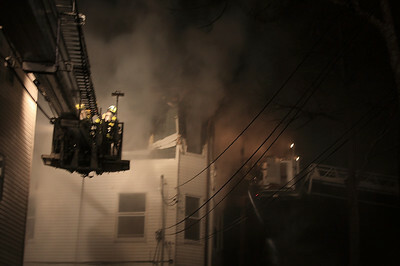 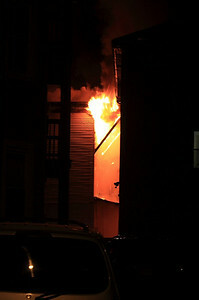 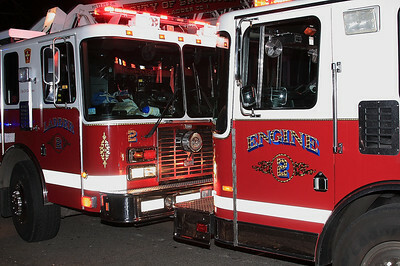 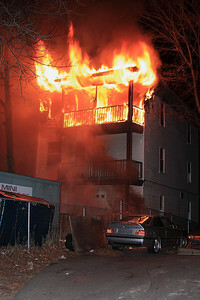 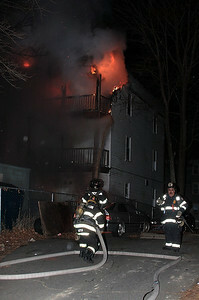 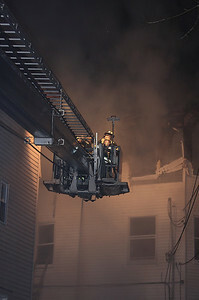 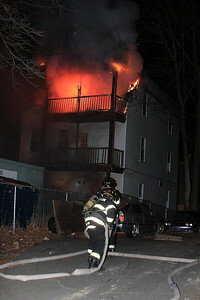 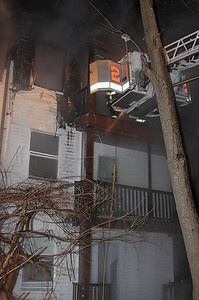 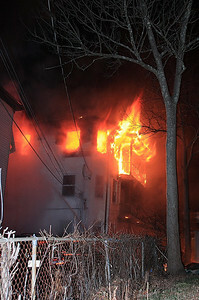 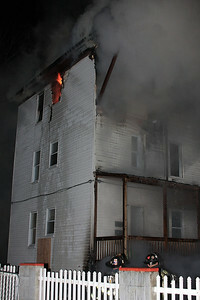 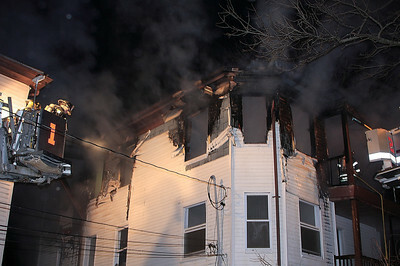 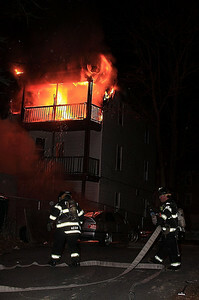 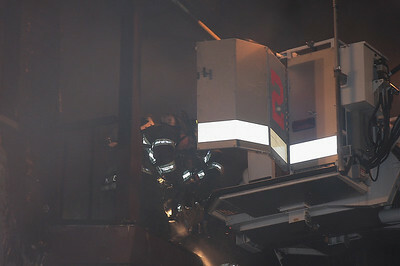 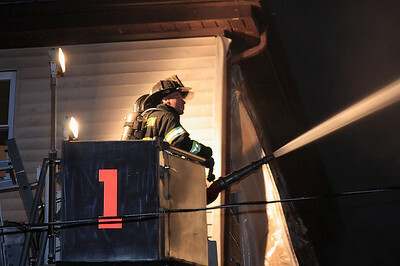 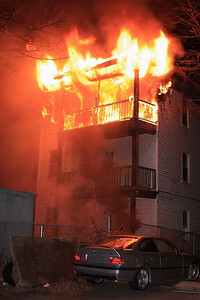 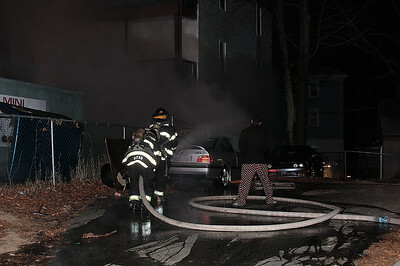 About 00:45 hr's on 12/17/2010 Brockton firefighters responded to Box 1346 in the downtown section of the city for a reported house fire. 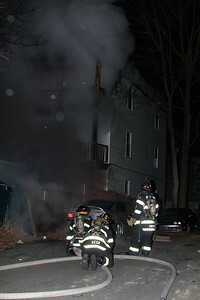 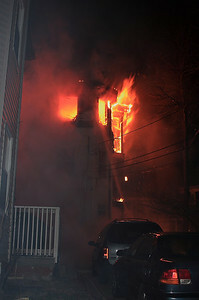 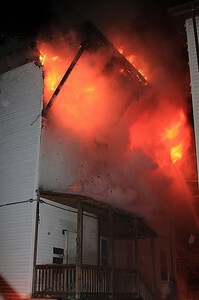 Car 56 arrived 1st and had heavy fire showing from a 3 story woodframe building. 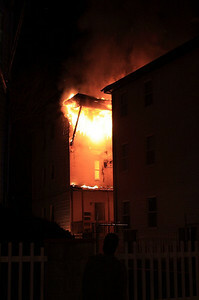 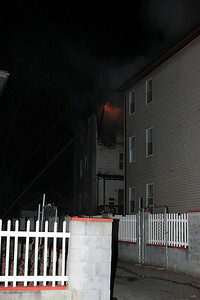 A working fire was transmitted with the 2nd alarm shortly after. 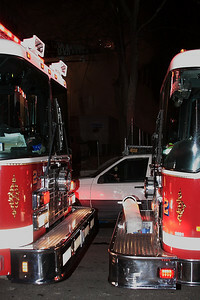 The fire building was set in the rear of a 2 1/2 wdfr with limited access. 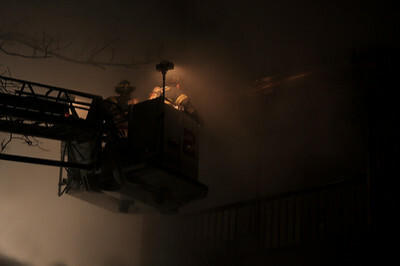 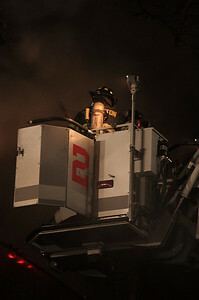 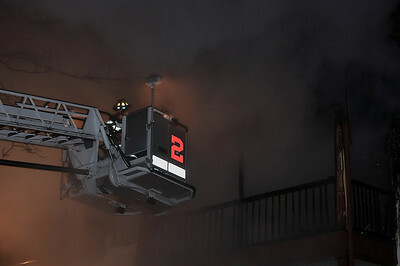 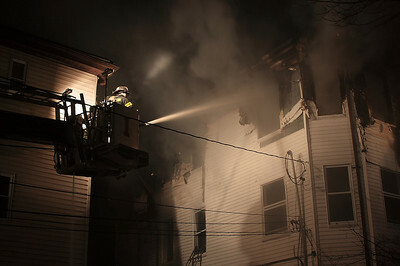 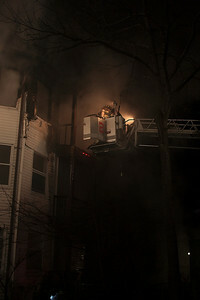 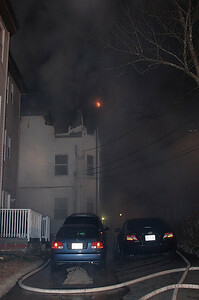 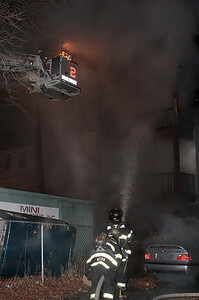 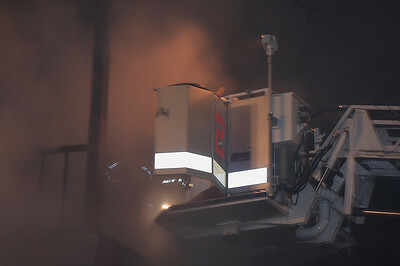 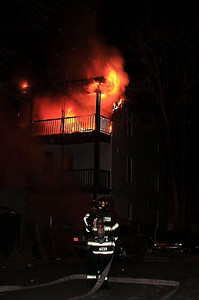 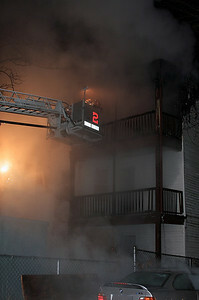 Several lines were used as well as Tower 1 to help contain the blaze. 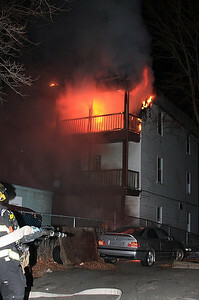 5 engines, 2 ladders and Squad A responded.